I love your projects and what you create! They are just so darn cute! 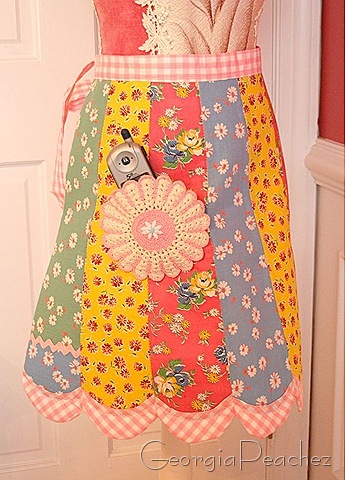 An this apron…..so so cute! Would love to add it to my collection! Absolutely KEWL apron!!! Love the reveal…. The apron is so cute. Your remodel is awesome. This is so cute! If my daughter sees it, she’ll want one too. your blog is so cute. looking forward to seeing your results. thanks for entering my in your giveaway. Love your new laundry room — wish I could do something like that in mine — only my laundry also houses the water heater and furnace and sports “lovely” floor joists!!! Keep all the gorgeous ideas coming . . . I love to stop and visit and be inspired! WOW!! The apron is just amazing! I love it SO much and would only HOPE to win your drawing! I would hold my breath….but that might now help! heehee! I posted a vintage apron that I recently bought on my blog today. I hope you have time to visit! Happy New Year! Great apron. The redo on the laundry room is fantastic! Love that desk! thanks for the peek into what you are doing! What a cute apron. Please enter me in your drawing. What a nice giveaway you have here! I love to cook – so I would definitely get use out of this! Love your choice of fabrics and the potholder pocket is the perfect finishing touch! I so hope it comes home to live with me! You have a sweet blog!! I sooooo sooooooo love that cute apron!!!! The apron is just darling. 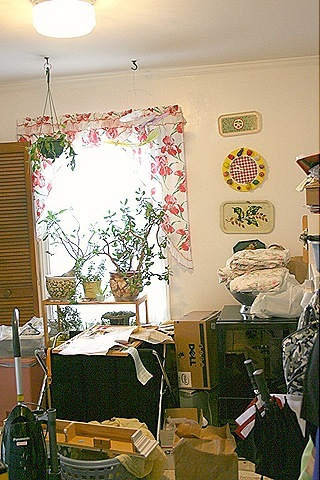 Your laundry room is going to be nice when it is all done. Mine is just a corner in the basement but you give me ideas. Great laudry room makeover! Your blog is one of my favorites. I would love to win the apron (crossing fingers). What a fantastic apron. I love your labels as well. I saw the link for the tut on another blog. Well done! I love your blog, I call it eye candy. What a lovely blog you have,I found your blog through Steph’s crockpot queen.And Am so glad that I have! Please enter me in your apron giveaway,thank you so much. What an AMAZING apron! I’m starting to become a bit obssessed with aprons and yours is one of the best I’ve seen. 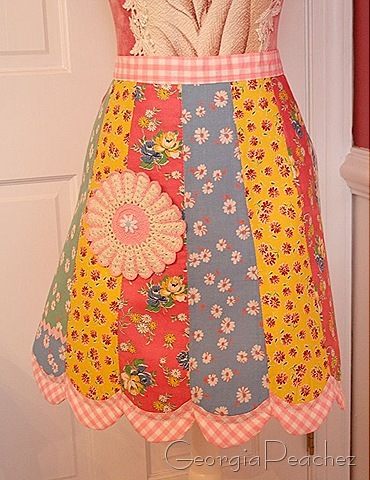 What a gorgeous apron, I love the doily pocket! Yes, please. I’m such a mess I NEED lots of aprons . . . really I do! I love the apron and would like to own it. What a pretty apron you’ve made. I would be cookin’ in style in this! Oh my gosh…….what a lovely apron!! Gorgeous! 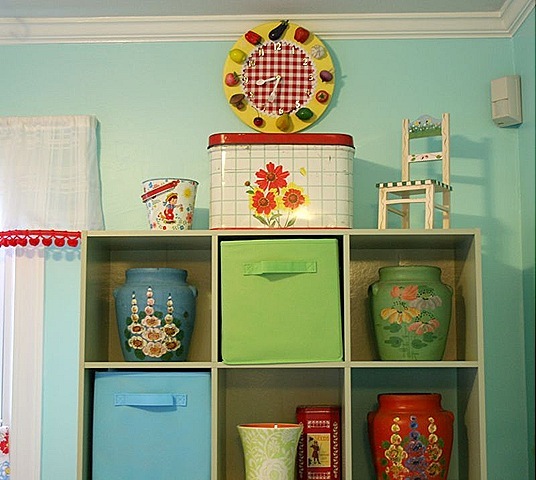 Love your laundry room too. I wish that mine looked so nice. I’m a little weepy about how cute that is.. Love the pocket in particular!!! 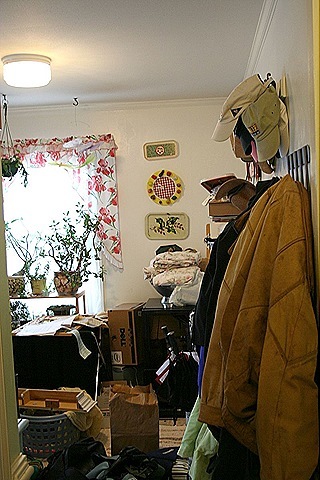 I would love to have a laundry room like yours; mine is ridiculously small for the size of my house. Plus yours is so pretty! Very cute apron! I’ve been enjoying your blog. I love the apron! So cute! Love your blog and the apron!! What a beautiful apron! I’m looking forward to seeing the finished room. That apron is FANTASTIC!!! 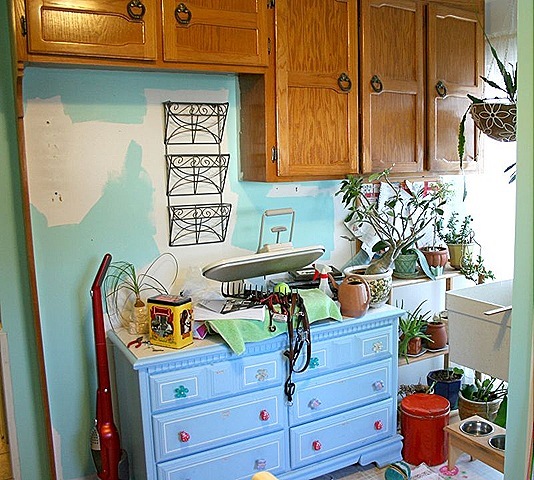 Ooh, and your laundry room make over is OUTSTANDING. Thanks for the inspiration! My goodness, I can’t believe you’re just going to give away such a fabulous apron! What a lovely thing for you to do. I love the colors you used–they’re just perfect for the shape. Sounds weird, but they are. I don’t know if it would be half so charming in darker colors. Love the pastels! Beautiful apron, I would love to be entered. I just found your blog from snowflakes on eyelashes, I am going to check out your etsy site. i’m new here, but i like your room makeover – or what you have shown! i love the apron!!! so cute!!! How wonderful! The apron is so pretty and I LOVE aprons! Thanks! I love vintage fabric, too!